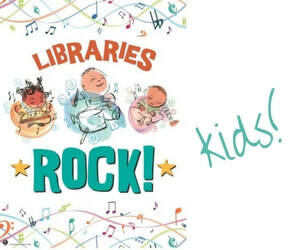 In 2018, children and teens will be invited to discover the joys of summer reading and libraries with the theme "Libraries Rock!" The 2018 Summer Program is open to young people and adults, preschool and up, with programs, prize drawings, story-times, performers, reading activities and more! There is no online reader to record books read this year, but we are keeping track of the number of books a child has read. For children ages 7 and under, every 4 books read will earn you a scratch-off ticket which is a winner or non-winner; those ages 8-17, every 1 book read will earn you a scratch-off ticket. Winners receive a small prize while non-winners enter into the grand prize drawings done at the end of the summer. Activities for children will include reading at the park, learning some Spanish, crafts & art projects, and more. Teens are invited to read for prizes, as well as to take part in special events offered throughout the summer, including cooking lessons, arts and crafts, and the annual ghost hunt. And adults can learn about Cuba, discover Pinteresting crafts, and more with our adult summer programs! 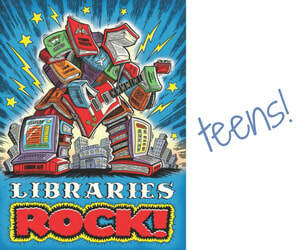 Children's programs are for kids entering grades K – 5th, Teen's are for those entering grades 6th- 12th. 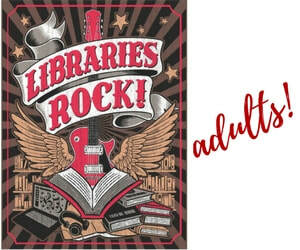 Adult programs are for ages 18 and over. As part of Summer Reading at New York Libraries, the State Education Department and myON are partnering to bring thousands of enhanced digital books to children from birth through 8th grade and their families all around the state! From now through September, families and patrons 8th grade and under can log into myON and choose from more than 6,000 fiction and nonfiction e-books. For more information on how myON works, please visit this page or go to the myON website here. To learn how you can log into myON, please click here for English instructions and here for Spanish instructions.